A place of innovation and convergence merging materials, fashion, and technical information !!! 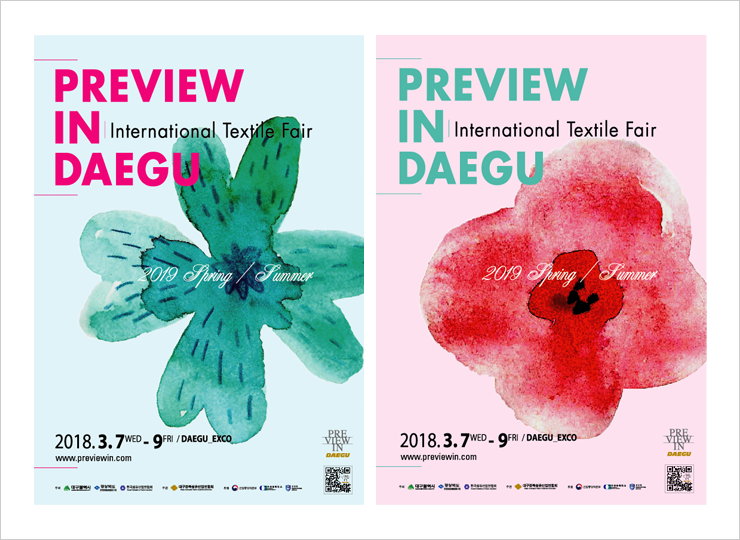 Celebrating its 17th anniversary this year, PREVIEW IN DAEGU 2017 is an international business exhibition specializing in worldwide trend in development of textiles materials that will serve as a place of innovation and convergence to prepare for the fourth industrial revolution. Comprehensively covering textiles and fashion from threads to fashion materials, functional materials, design, subsidiary materials, home textiles and DTP, the event off ers various business opportunities and entertainment in the Trend Forum, Brand & Tech Convergence, and Textile Experience and materials / fashion trend seminars.